Oscillating Innards releases started turning up in 2002. Prior to that, were you active in other musical projects? Was OI an active studio or live entity for an extended period before recordings surfaced? I played guitar, vocals and/or drums in a few weird grind, metal, noisecore etc bands in my hometown of Redwood City, California when I was enduring Woodside High School (Peyote Calamity, Noisecop, Rickity & Malachai, etc). I became really interested in making music alone at about the age of fourteen, mostly guitar drone and primitive noise/feedback stuff. I played piano and my dad’s banjo before that. 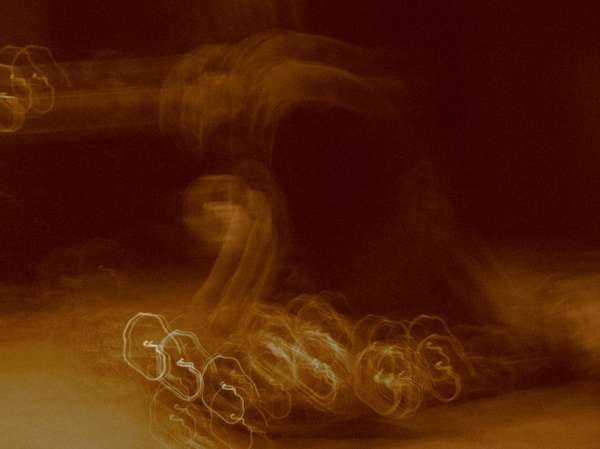 The noise/ambient stuff I started to record in early 2001 eventually became Oscillating Innards, which I’ve been doing for nine years now. Aside from a tour cdr, the 2008 album Nadir Emergence was the last recording released under your Oscillating Innards moniker. 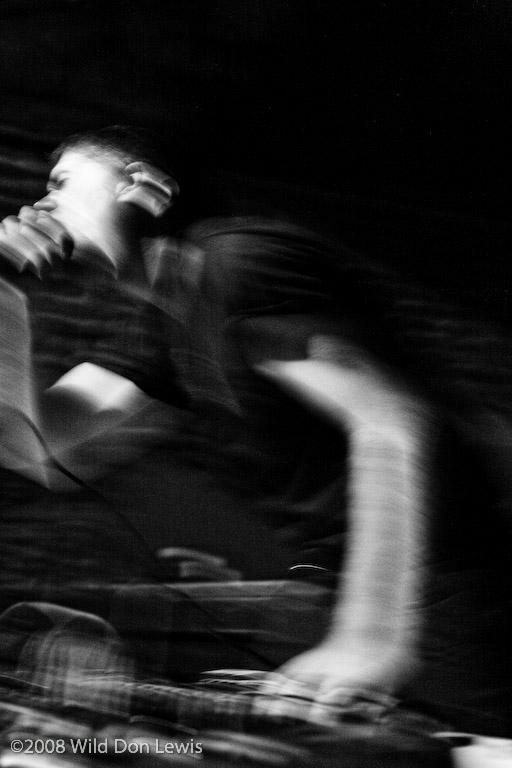 The album seems to draw from a wide range of influences as most of your past work; incorporating vocals, organic drones, field recordings, junk noise, and blistering feedback. To my ears it has been the most composed and well produced output from the project, and seemed to represent a culmination of everything OI has worked to convey in the past. Was your intention to create a final exhaustive statement for the project and lay it to rest? Or is this just another step in OI’s evolution? ‘Nadir Emergence’ wasn’t intended to be the final OI release but my personal life and health laid the project dormant sometime in 2008. I did two performances in 2009 and I will do 3 or 4 in 2010, which will probably be the last. There will be one more OI release but it may not be a full length. About two years ago I had the poor luck of developing a rare and likely permanent ear disorder which has resulted in a lot of difficulty and frustration with my hearing and chronic tinnitus. Since then, recording, listening to, and performing harsh noise/feedback works/etc have been very damaging and depressing experiences with consequences that will probably last my entire life. It’s been very difficult having to avoid and suppress what has been a very important part of my life in order to save my hearing and psychological health. But it’s taught me a lot about aging and inevitable decay. Most of your releases seem to contain deeply personal and often frustrated messages through both lyrics and titles, something I have also seen incorporated into the majority of your live OI performances. On Nadir Emergence in particular the lyrics seem focused on a particular person, although still written in a broken/poetic form. Is the album representative of a particular snapshot in your life? The lyrics and overall narrative/theme of ‘Nadir Emergence’ is based on a specific year of my life. It represents a sequence of events in a kind of narrative scenario, a metaphorical “place” as a culmination of that time in my life. It’s mostly based on getting hit by a car, ending a relationship based on my inability to ever be a father-figure and a massive fire that happened across the garden from my old house one early morning. 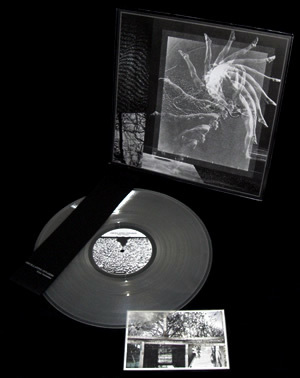 The ‘Grey Variables’ LP on Dogma Chase was a prologue, the theme being desultory, recurring thoughts of producing dishonest, worthless art while struggling with love and relationships (and the relationship between those parts of life), while ‘Nadir Emergence’ represented a direct (but metaphorically expressed) realization that my artistic output has been insignificant, that I do not understand love, that I need to stop doubting difficult truths and become a better person. For years now you seem to have kept one of the most rigorous touring schedules out of anyone I know, often heading out for over a month at a time. For performing such niche underground music sustaining tours like that must be incredibly difficult financially, as well as emotionally. Would you consider touring and live performance a critical aspect of your music? Yes, but I think the main reason I tour is because it is a lifestyle that gives me happiness and consistently new experiences. Three of my favorite aspects of life are wandering in places I’ve never been, performing live music and just constantly being in different cities to see and make friends. I treasure many aspects of home-life and need it sometimes, but I thrive on anonymity and change. And I love being able to make friends and explore cities that are far away from my home, and still get to see them in person more than once, if possible. Many times it has been very difficult to tour while still having money for rent and food when I get home, to hold down a job, and it’s caused some relationships to fall apart. But it’s a lifestyle that has always felt very natural and right to me, and I will continue to do it until I’m deaf, or dead, or whatever ends it. Your dedication to touring has taken you to a lot of places- all over North America, Europe, Japan. Typically you have toured with similar experimental/noise acts, but recently you have been playing alongside your brother Owen, aka Casiotone For The Painfully Alone. How has this affected touring for you overall? How do concertgoers expecting to only see similar acts to CFTPA react to your solo work? 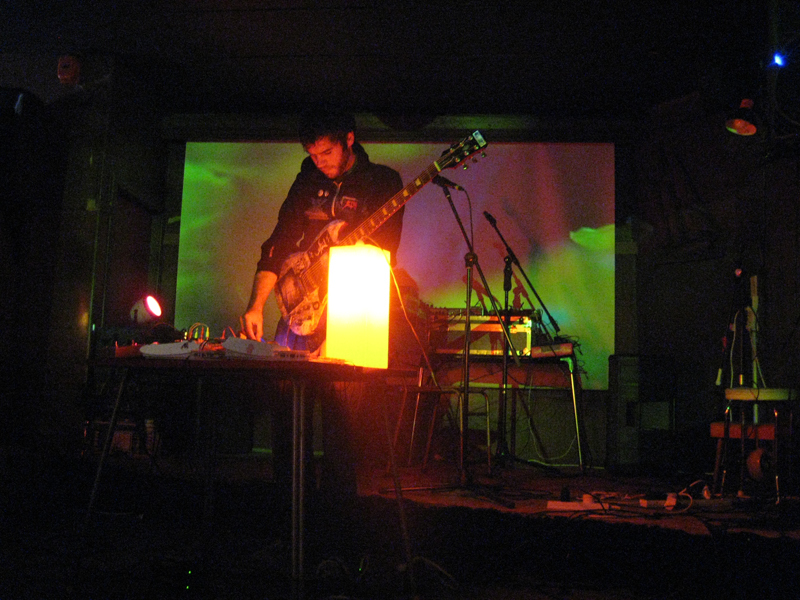 When I first started touring, it was always very DIY, playing esoteric noise or punk music, usually for very small audiences who would expect to hear esoteric noise or punk music. That is still the way I organize tours, albeit more sensible and experienced, and the tours I’ve done with Owen have been very different, but really great. At first I felt extremely alienated performing for audiences that were bigger than I was used to, audiences that expected pop-music elements like vocals, rhythm, and blatant melodies. And I’m certain I’ve really annoyed and/or bored some people (seemingly, lots in the UK) by Concern performances. But I think it’s really healthy for both the performer and the audience to remove themselves from ideal or expected situations when it comes to music. And it feels especially good to kind of “win over” people that would otherwise never consider, care about or enjoy experimental/minimal/different music. And it’s been a huge pleasure to be able to tour and spend so much time with my brother. I am really fortunate for that and it feels like a pretty rare and special connection. Also keeping with the theme of working with your brother, in 2008 your released a collaborative record on the label People In A Place To Know. A single sided 8″ square marbled vinyl record with two Bruce Springsteen covers is not something that happens by accident- how did you guys arrive at making that record? We were listening to Streets of Philadelphia in Owen’s old van in Chicago a few winters ago and decided to cover it together. We had never made music together before. He recorded the foundations for both tracks and mailed them to me, then I added guitar tracks and mixed everything. Mike from PIAPTK was awesome and gave us carte blanche to get weird with the format/record shape, and was also into getting weird, so here we are today. Rejected LP shapes include: the state of Oregon, and a lemon/lime split (yellow A side, green B side). I’m pretty sure that it remains the weirdest release in both of our discographies. In addition to playing with your brother, you are involved with a number of other projects at any given time such as Knelt Rote, Black Air, and a number of secret projects.. Care to provide further background on any of these? 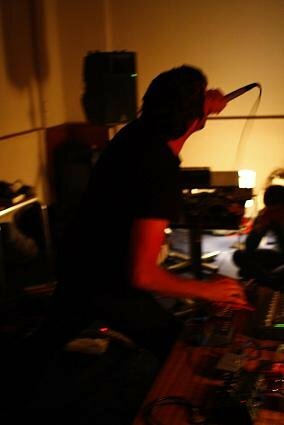 I do vocals and noise in Knelt Rote. Our second LP is coming out soon on Forrest and Parasitic records. I play guitar and vocals in Backpatch with C. Mumma and M. Zorman. Black Air is an ongoing HN collaboration with S. McKinlay, sometimes with J. Borges. Current solo projects are Concern, OI, Sexless Marriage, GWA. 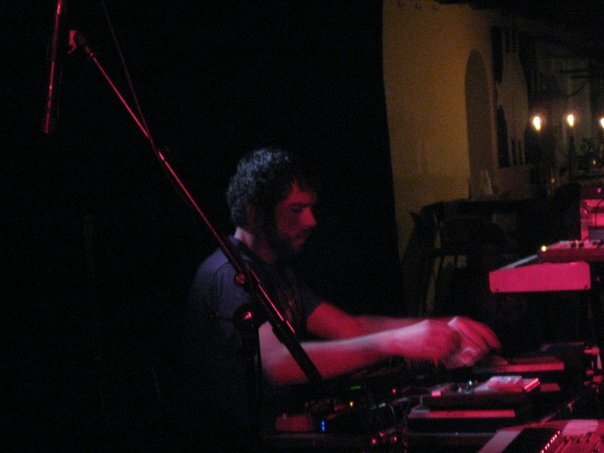 Past solo projects include Riverbed Mausoleum, CAEN and No Futuro. I’ve always really liked side projects, anonymous releases… factioning the creative self into distinct identities. You seem to simultaneously have a foot in two very different camps. You play in both concert halls and punk houses/squats, have done lots of DIY releases, but have also had some very deluxe editions released (the Dogma Chase LP for example). Do you feel that you ever have to tailor your work to a certain situation either live or release wise to fit the expectations of the audience/label? Performances and releases are tailored to the aesthetic and purpose of the project, and I consciously avoid situations where that would be compromised. Retaining the control over aesthetics is really important to me, so I’ve really shied away from doing split releases, or releases where the label controls the imagery or has a serial aesthetic (i.e. the consistent design of labels like Groundfault, Recycled, etc). Doing longer or shorter performances based on certain contexts can be unavoidable when touring, and I’m ok with that. Otherwise I have no reason to alter any content or my character for certain audiences or labels though. Honesty and transparency are important to me, and if it ruins any “networking” opportunities, then it’s for the best. 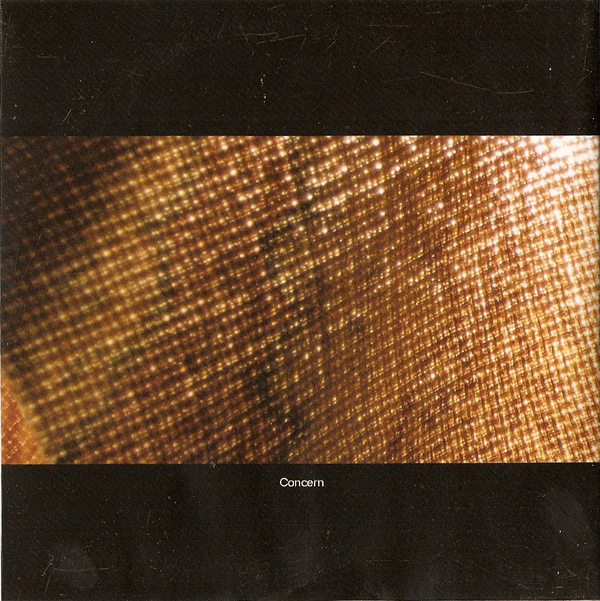 From 2006-2008 you released 3 OI cassettes in the Dronseas series. This seemed to mark the start of separating your work into the OI and Concern identities. 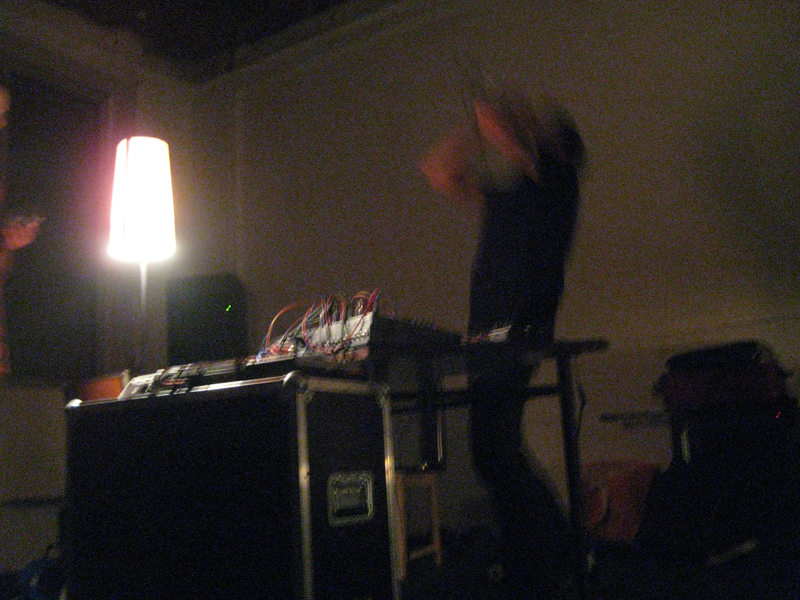 From the very beginning though, using acoustic sources has been a constant in your non-harsh noise work. Do you just find working with acoustic sources more intuitive, or are there other motivations behind what sources you use? I use acoustic sound sources and analog processing for nearly all of my music these days. OI “Nadir Emergence” was constructed of entirely acoustic sources, same with all of the Concern and Riverbed Mausoleum releases. I’ve never used a synthesizer for anything, but older OI material has lots of white noise and pedal noise/feedback loops. I’ve been long obsessed by acoustic and spatial sound. Most digital or purely electronic music sounds lifeless to me. The fact that acoustic, vibratory instruments actually exist in physical space and are subject to tangible and atmospheric variables is a big source of creativity. I’ve never really understood purely electronic music because they lack that physical existence. I can see the appeal, but it seems imaginary to me. Like a series of pre-recorded tones. Or just codes. These are the same reasons I use tapes so much. You punch a synth or a CD, it doesn’t affect the code and remains the same. You punch a tape, it warbles, loses fidelity, snaps, changes. You punch a ukulele, you break it and you hear it break. Again, things being broken, impure, and somewhat negative seems to be a theme you visit a lot in your work, often with nostalgia or remorse (in my interpretation). Especially from 2005 onward album/track titles seem to either reference a date/location of a live performance, or are some sort of ambiguous personal reference. Is performing/recording a way for you to exert emotions, or do you view it as a way to possibly connect with others subliminally who may have had similar experiences? Both… to emotionally connect with others, I must exert emotion, even if veiled/metaphorical or subliminal. Location is very important to me as the vast majority of my recording work has been done at home. I’ve always made music that is much more personally reflective rather than socially reflective, reflecting the environment in which it were made, and where you live and sleep and who you sleep with.. Documenting and alluding that is important to me, even if in vague “artistic” ways. I’ve moved in and out of nine homes in the past five years, and have made works to reflect each of them. Period pieces, you know? Obviously much more known to myself than a listener, but I hope some of that comes through on the other end. The broken and impure aspects are central to a lot of my recordings. I think there’s a very real human connection between sound and emotion, which is especially revealed in classical and soundtrack music. Much of my music is based on channeling those emotional responses and affecting them by manipulating, disintegrating, distorting them, etc. In 2004 you started your label Iatrogenesis, primarily releasing your own material and then branching out to other artists releasing small batch cassettes/cd-rs. Now you have moved on to larger pressings of CDs and LPs. Do you plan on focusing mostly on larger runs in the future? Yes, from now on Iatrogenesis will be LP and CD releases only, and they will come out very slowly (probably one or two releases per yer, or less). I’ve been working on releases for Gutter Rash, a new label which will be all cassette and zine releases with a consistent aesthetic. The first couple GR releases will come out in March. Becoming increasingly active around the same time you started Iatrogenesis were the Callow God and Monorail Trespassing labels run by Jeff Witscher and Jon Borges, the more elusive Stammer, and more recently Matt Sullivan’s Ekhein label. All of your labels have released each others material, you have all played shows and/or toured together, and seemed to share very similar sounds early on before everyone headed off in their respective directions. Do you feel like you were all part of an insular community of friends making similar music, or were friendships born out of common ideas and motivations? Friendships born of music and ideas and lifestyles that centralized in the (then) smaller and younger Los Angeles noise scene. I feel we all had immediate connections and started trading tapes, touring together, collaborating, motivating one another. The very first tours I did were with Jon Borges, and with Jeff and Greg Witscher and Ex Jesus. Then the first Deep Jew US tour etc. I learned so much on every day of every one of those tours. The California thing had a really strong epochal feel which has since broken down and everyone’s more spread out and developing on their own. But it’s just distance. I feel really fortunate to know them all, some of the best friends I’ll ever have. Surreal memories and total brothers. I miss the ones I haven’t seen in a long time. Also around that time all of the above labels seemed to have a strong focus on releasing 10 and sometimes 15 or 20 minutes tapes. Personally I have always loved those releases and found them to be an ideal length for the sounds they contained, like a 7″. Were releasing these short tapes intended as final complete works for you, or more like exercises/experiments that would later culminate into longer works? Intended as a complete but shorter release, mostly. A few releases were intended as “alternate version” or demo releases, but in small editions for friends and a few other people who’d maybe want to hear it. I love short format tapes just as I love 7″s (as long as their appropriately priced). You seem to have made a gradual shift from short tape works and blitzkrieg live performances to longer releases and more organized and complicated sets. Do you feel you have improved your compositional abilities with this type of music over the years allowing for this, or is it purely out of necessity to convey your current musical ideas? I want to always improve my compositions and performances and really try to avoid repetitive or unnecessary releases and performances. But the fact that they are generally longer and less violent probably reflects aging, and more elaborate and complex works hopefully reflects development and progression. That being said, what if any touring plans do you have for 2010 and beyond? Any sage advice you can offer to other musicians yet to experiences the rigors of long-term touring? 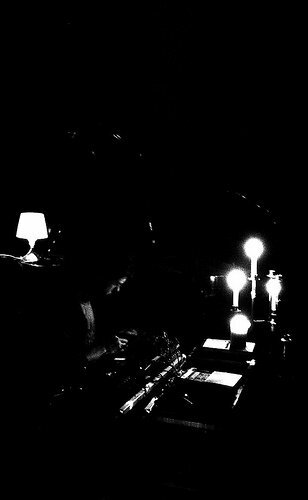 I’m booking an Oscillating Innards/Concern tour of Japan for October 2010… Knelt Rote will be touring very actively later this year and in 2011. I’d really like to do a full US tour with Concern sometime. Advice for touring, there’s always so much to learn, but I’ve learned the values of being an honest and friendly person, being a gracious and clean guest, eating trash/free food, proper hydration, taking precautions to not get possessions stolen, planning routes realistically and account for potential problems… consistently checking fluids and tires of the auto, being realistic and honest about merch trades, not being wasteful or foolish with money. What musical plans do you have for the near future that we can look out for? Releases that I’m working on or are involved in: Concern ‘Caesarean’ LP + CD (Arbor and Slow Flow labels), Oscillating Innards ‘rendition of Hell’ LP + tape, Knelt Rote ‘Insignificance’ LP (Forest and Parasitic labels), G.W.A ‘Loss Songs’ LP and a Concern LP for Isounderscore label. What is the best and worst live experience you have ever had? 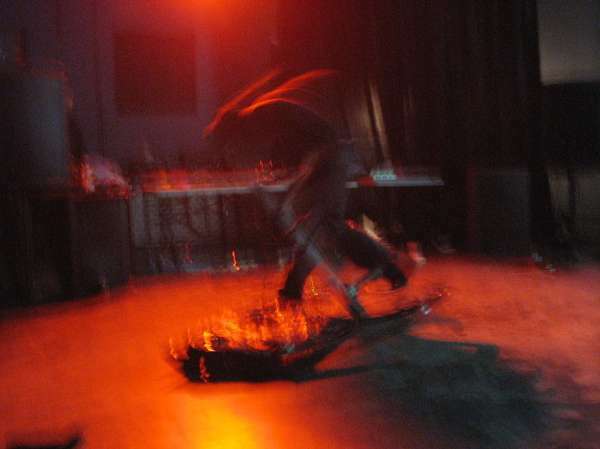 The worst were a totally aborted OxIx performance at Grandma’s House in Oakland about 6 years ago, and a few Concern performances using a 114 year old zither which pretty much never translated well to live situations. 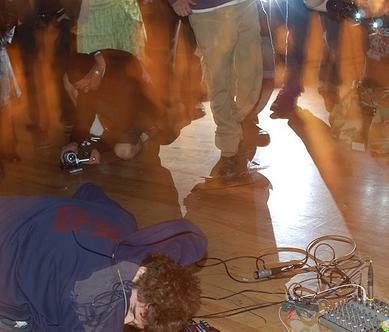 Top three best live experiences have been a Concern set in Melbourne, an OxIx set at a squat in Paris, and Knelt Rote in Toluca, Mexico. The latter being the most fun I’ve ever had playing live music, without doubt. Special thanks to Benjamin Nelson for conducting the interview.